Design & Develop Space Vector Pulse With Modulation as per custom specification and supplier of medium voltage drives in the range of 250 kW to more than 10 MW. We Provide service Medium voltage and High Power Motor drives with Hands-on Experience in MV Drives and LV Drives. Marine, Oil & Gas, Energy and Industry. Steel Plant for various load machines like Conveyors, Centrifugal pumps and Fans . Brands –ABB mv drive, Allen bradly mv drive, Alstom Power Conversion v ,Amtech , Ansaldo sistemi industriali , Eaton mv drive (cutler - Hammer) , Siemens Mv drive, GE,Converteam mv drive, INGEDRIVE medium-voltage modular AC drives ,Control technique, T300MVi ,MTX Toshiba Medium Voltage drives, Eaton Medium Voltage Adjustable Frequency Drive , Harvest , Hitachi ,Omron, Toshiba ,Parker SSD, Ingeteam mv drive, LS industrial systemmv drive ,RXPE, Lenz, Schneider Electric mv drive,WEG mv drive, Vacon mv drive, and Yaskawa mv drive . Afghanistan Albania - Algeria - Andorraa - Angola - Armenia - Austria Azerbaijan Bahrain Belgium ,Benin Botswana Bulgaria Burkina Faso Burundi , Cameroon, Cape Verde , Chad , Comoros, Congo - Czech Republic , Denmark ,Djibouti , Egypt , Equatorial Guinea - Eritrea , Estonia , Ethiopia , Finland ,France - , Gabon, Georgia , Germany , Ghana , Greece , Guinea ,Guinea-Bissau , Hungary, Iceland , Ireland , Israel - Hebrew , Italy, Kazakhstan , Kenya , Kuwait ,Kyrgyzstan ,Latvia , Lesotho , Liberia , Liechtenstein , Lithuania , Luxembourg , Macedonia , Madagascar , Malawi , Mali , Malta , Mauritania , Mauritius, Monaco , Morocco , Mozambique , Namibia , Netherlands , Niger , Nigeria , Norway, Oman ,Poland , Portugal ,Qatar , Romania , Russia , Rwanda , Sao Tome and Principe , Saudi Arabia , Senegal, Seychelles , Sierra Leone , Slovakia , ,Slovenia ,South Africa , Spain ,Sudan , Swaziland , Sweden , Switzerland , Tajikistan , Tanzania ,The Gambia - Togo - Tunisia - Turkey,Turkmenistan , Uganda , United Arab Emirates - United Kingdom - Uzbekistan and Zambia . 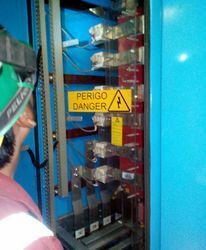 For more information about Medium voltage drives Repair Specialists and any other related information feel free to contact us. Our service team is waiting to assist you with your support request. We Provide Robicon Perfect Harmony Medium Voltage AC Drives Repair and Maintenance service. Siemens Robicon Perfect Harmony power cells test , repair and spare parts supply & replacement . Field services include troubleshooting, Preventive maintenance, repairs and replacements, Retrofit which aim to improve productivity, performance and uptime. specialized training and access to expert knowledge, to benefit their business directly. The comprehensive of services spans the entire life cycle of the drives. Predictive Maintenance for Industry 4.0 could end statistical modeling and MTBF. Gas Pipe line ,Pumps, fans, compressors, extruders, kneaders, mixers, cement mills ,crushers, agitators, conveyor systems, ESP, retrofit ,marine drives, presses, wire rod mills ,Rolling mills, mine hoists, conveyor systems, test stands, starting drives for blast furnaces ,mine hoists, excavators and port crane. For any other related information required feel free to contact us. We will do our best support at all times. 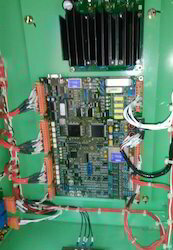 Repair, Refurbishment , and Testing Of GE Speedtronic Mark V Card , control card ,power supply , Excitation system ,operator interface and other GE Parts. We are specialized in providing technical solutions and consultancy for these products. If you are looking for Mark V Card repair .Please call us. We will do our best to help you that you are looking for at the most competitive prices possible. Please call or email to get more information about our capabilities. Looking for MV Drives ?